1. 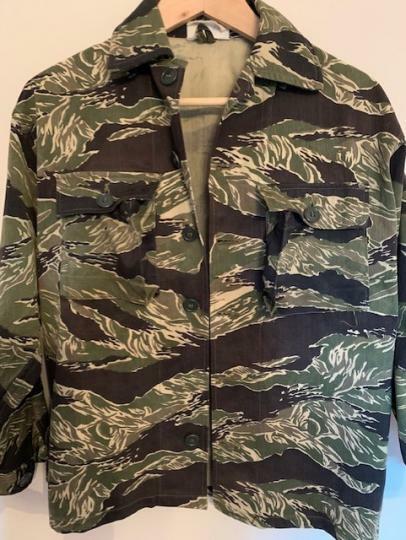 The Jacket - Rare pattern, double breast pockets to the chest which have tailored inner facing cargo bellows, both are square, each with pocket flaps and closed with single exposed flat button. Cuffs are correct two button adjustment with a machined triangle insert. Six button front closing but only five buttons are present. The collar has the correct triangle stitching on the underside. 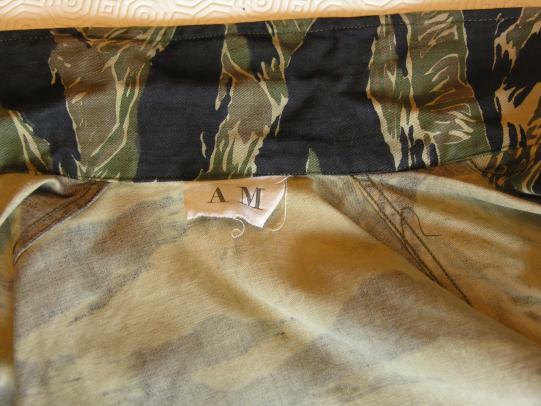 There is a cotton printed label AM size. Under the label is a loop hanger. 2. 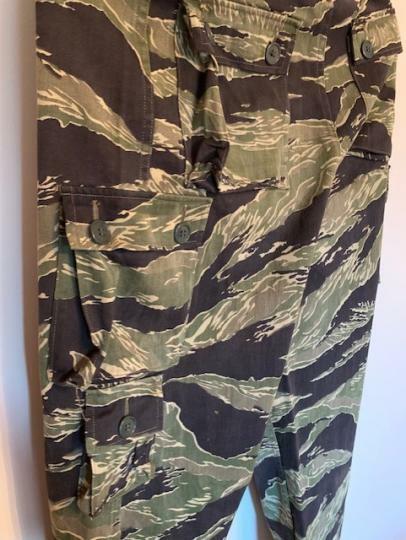 Pants - Five Pockets - Two to the back, cargo bellows to one side facing outwards with two buttons to secure the pocket flaps. 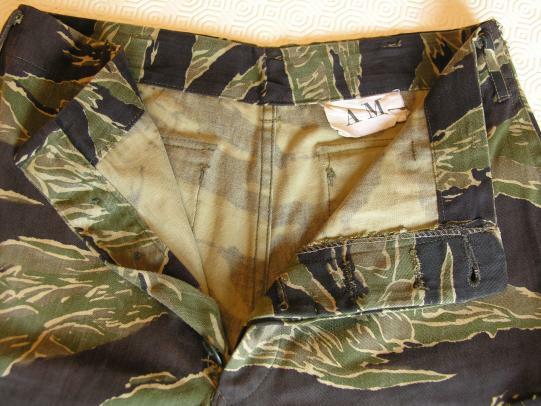 Two leg pockets (thigh) with cargo bellows to one side facing inwards with two buttons to secure the pocket flaps. One single "cigarette" pocket cargo bellows to both sides and a single button to secure the pocket flap. 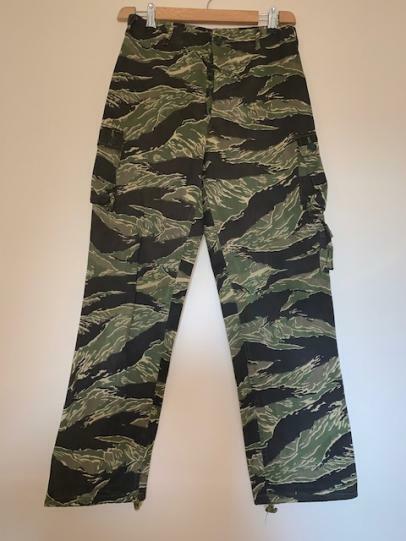 Leg drawstrings to the leg cuffs. 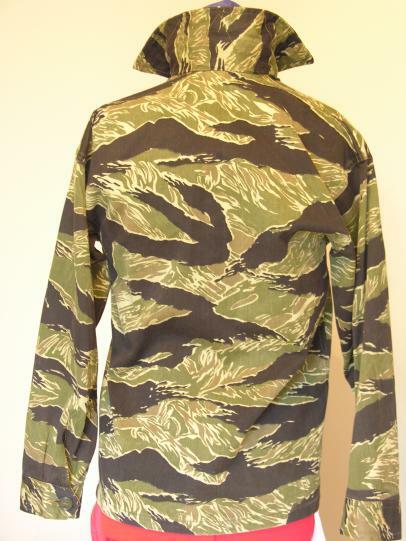 All of the machine work and stitching is of a very high standard and exceptional detail to all of the edges. Shirt Chest 36" Neck 13"
Trousers Waist 30" Inside leg 29"
This set is from my collection and has been owned by me for 40 years. Lt. General Julian Ewell's Vietnam issue fatigue fully badged. Three star Generals rank has been sewn over his previous rank on the collars. Combat Infantry over the Master Para and U.S. Army tape. 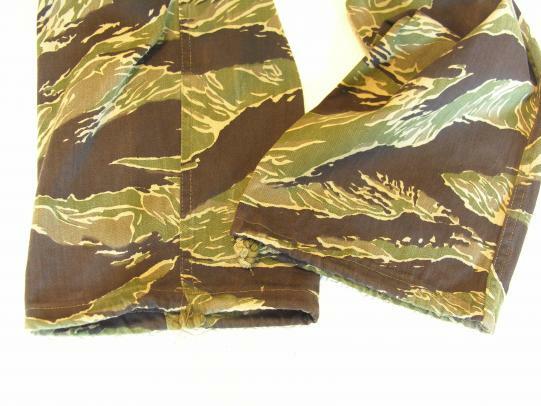 Left sleeve is a velvet and twill 9th Infantry Division patch. In perfect condition. Also comes with a photocopy of the general. Commissioned as a second lieutenant of infantry in 1939, he volunteered for paratrooper training at the start of World War II. During the war, he commanded 3rd Battalion, 501st Parachute Infantry Regiment, part of the 101st Airborne Division. He took part in a parachute jump into Normandy during the D-Day invasion, and continued to take part in combat against the Nazis in Europe. Ewell later commanded the 501st Regiment, which included participation in Operation Market Garden and the defense of Bastogne in the Battle of the Bulge. He received the Distinguished Service Cross for his heroism at Bastogne. After the war, Ewell continued his Army career, and his command assignments included the 9th Infantry Regiment in South Korea during the Korean War, Assistant Commandant of Cadets at West Point, Assistant Division Commander of the 8th Infantry Division, and Deputy Commander and Chief of Staff for the Combat Developments Command. During the Vietnam War, Ewell commanded the 9th Infantry Division (1968-1969) and II Field Force (1969-1970). 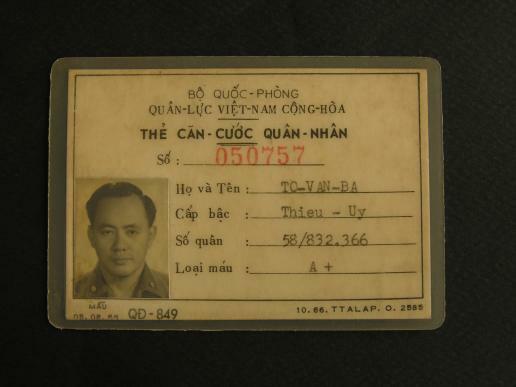 He later served as military advisor to the U.S.-South Vietnamese delegation at the negotiations for the Paris Peace Accords and Chief of Staff of the NATO Southern Command. 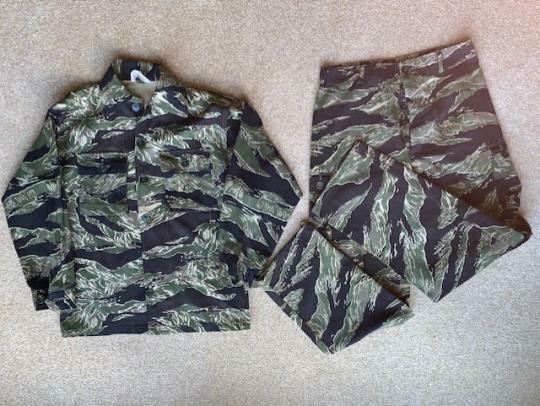 A locally tailor made OG107 shirt made from sateen cotton material to a Captain Brooks of the Intelligence Corps. 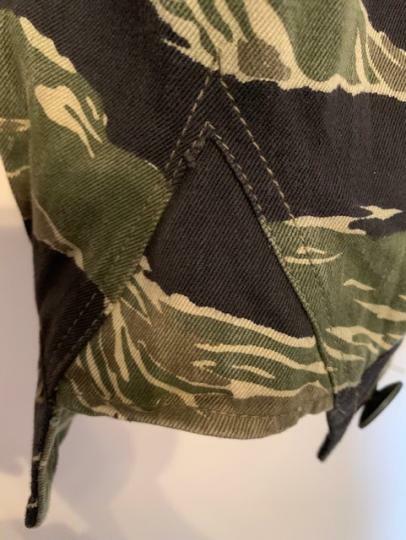 On the left pocket is a "Hand made" pocket patch for the 10th Psychological Operations Battalion, Subdued name and US Army tapes, para wings, rank and MACV patches are all local made. The Intelligence branch of service is U.S. made. In good condition no rips or tears. The 10th Psychological Operations Battalion was formed on 7 November 1967. It activated on 1 December 1967 in Vietnam, operating in the Mekong Delta in the city of Can Tho part of IV Corps tactical zone. Printed and flew mission dropping propaganda leaflets. 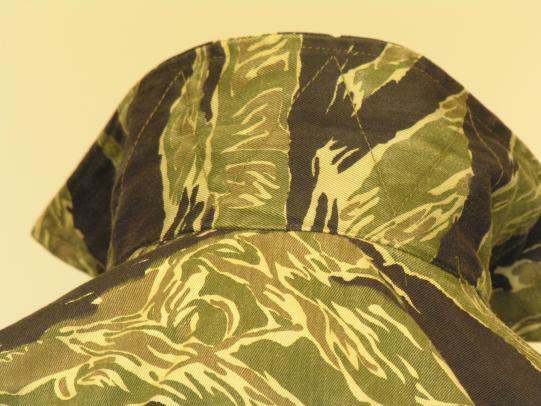 Sometimes stitched to boonie hats. A good machine woven by hand 5th Infantry Long Range Recon Patrol. An original piece, Measure 2 3.4" x 2 1/2". 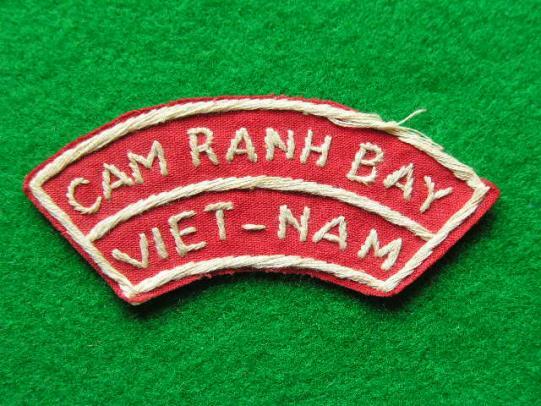 5th arrived incountry 25th July 1968 until 27th August 1971 and posted to the 1 Corps Tactical Zone. South of the DMZ to Quang Tri area for search and clear, cordon and sweep operations. Scarce I.D. 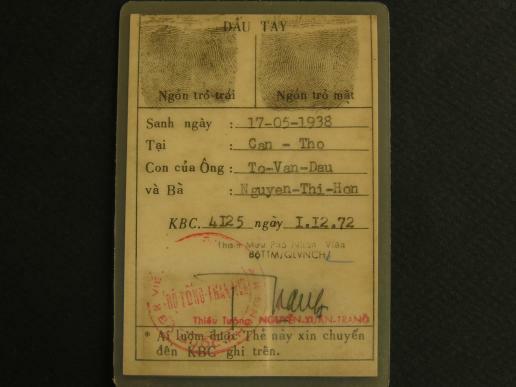 card for a To-Van-Ba rank Theiu Uy or 1st Lieutenant dated 1972 encased in plastic. Vietnam Peoples Self Defence Force I.D. Scarce I.D. for PSDF warrant officer dated 1969, cased in plastic for protection. Measures 5" x 3 3/4" Doubt the smile lasted long when Charlie turned up! Peoples Self Defence Force in the rural areas was an effective organisation for fighting the Viet Cong insurgency war, because no one could know the terrain, village, and local residents better than the PSDF's members themselves. And on the last days of Vietnam war, when all the "eagles," and "hawks" had flew away, those brave folk stood up, fought some of the last unknown battles against the advancing Communist army, especially at some Catholic and Hoa Hao sectors and in and around Saigon. A good current issue 101st patch and separate tab. Note the right facing eagle. 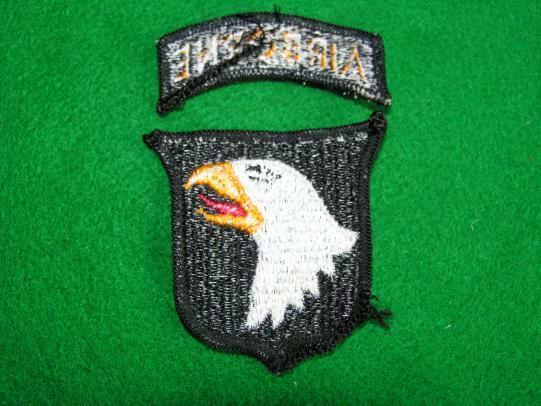 Here is an early pattern 498th Air Evac patch. 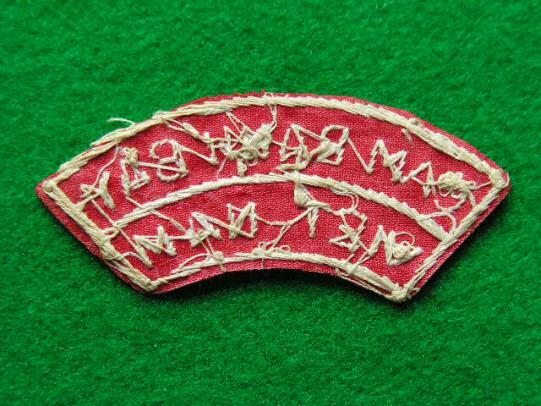 Later patches were titled "Dust Off" Fully embroidered with some wear and age. Measures 4 3/8" x 2 3/4"
Here is a Vietnam locally made Alpha Company "Devils" Patch in very good condition, measures 4"
Three battalions (2/60, 3/60, and 5/60 Mechanized) were activated at Fort Riley, Kansas, and assigned to the 9th Infantry Division for its deployment to the Republic of Vietnam in December 1966. 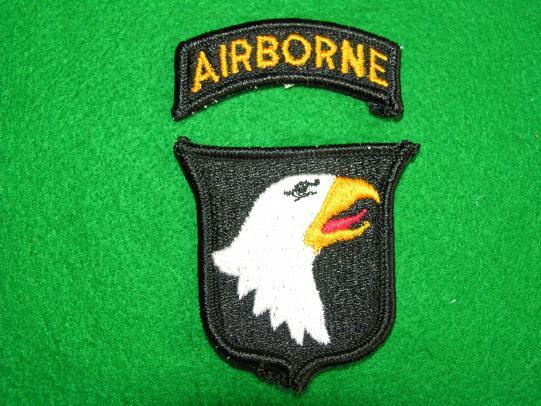 The 9th Division was the only major U.S. combat unit to conduct operations in the Mekong Delta. On 13 September 1968, the 5th/60th Mech was "swapped" with the 1st/16th of the 1st Infantry Division. From then until August 1970, the 5th/60th operated as a "straight leg" infantry unit. The battalions of the 60th Infantry participated in both Riverine operations and "jitterbug tactics" which featured split-second timing of Airmobile insertions in close proximity to enemy units. These operations enabled the battalions to be awarded unit citations and campaign streamers, including one Presidential Unit Citation. Beginning with the 3rd Brigade in July 1969, the 9th Infantry Division was the first US Division to be withdrawn from Vietnam. [Although 'Old Reliables' were returning to the United States, from the Summer of 1969 on into the Fall of 1970, units of the 3rd Brigade remained in the Mekong Delta; operating under the command of the 25th Infantry Division in Cu Chi] The Division returned to Ft. Lewis, Washington, in 1970 where its battalions were inactivated.